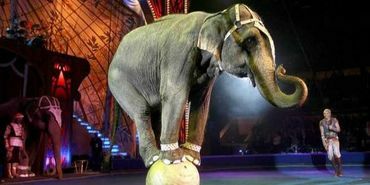 PETITION - Every State In The U.S. Must Ban Exotic Animal Acts! No More Circus Cruelty! Please join me in asking every governor in the remaining 48 states to finally ban exotic animal acts. These beautiful animals belong in sanctuaries, where they can live out the rest of their lives in peace and dignity! Signed previously on January 4, 2019. #7928 signatures needed to reach goal of 140000 ~ PLEASE SIGN! Signed and shared on January 5, 2019. Thanks for posting, Hristina. Signed Jan 6. A lot more signatures required.Thanks for posting Hristina.